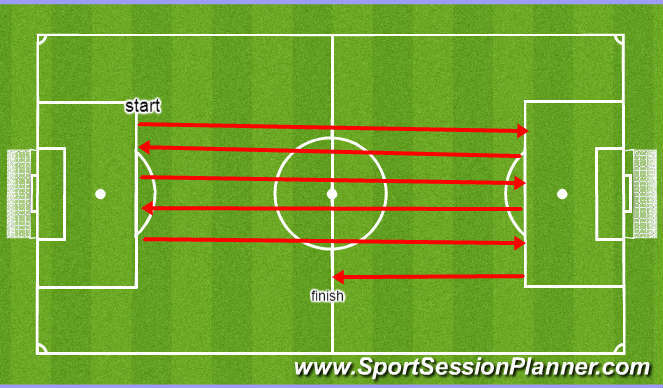 a general warm up must precced session and turning must be incorporated. players are able to perform either a loop turn or stop turn but must pass over 18 yard box line. a general guide for pace is between 11-13 secs per length.